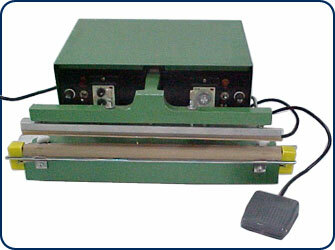 We carry every single maintenance and repair part for this model heat sealer. They have 3 separate controls that control clamp, seal time and seal interval and allow for fully automatic operation. When desired, the manual mode can be selected and operation is controlled by a foot pedal switch (included). The MP-24A seal is 3mm wide, the MP-24ATS features a round heating element and the MP-24A5 seal is 5mm wide. The unit gives excellent seals on poly up to 8 millimeters. Quantity Out of Stock - Please call 573-392-2400 for availability date.